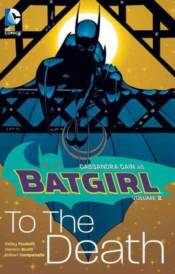 In this new, action-packed volume starring Cassandra Cain, Batgirl faces The Joker! But the Clown Prince of Crime gets the last laugh when Cassandra and Spoiler must face a 'jokerized' Shadow Thief. Then, can Batgirl stop a young boy's father from making a lethal mistake? And just who are the mysterious agents that are after our heroine? Collects BATGIRL #13-25.